Povidone iodine is a fast-acting disinfectant with a wide antibacterial spectrum. Povidone iodine exhibits strong disinfection efficacy against bacteria, fungi, viruses,and acanthamoeba as compared with other disinfectants. The proteolytic enzyme completely removes daily contaminants. 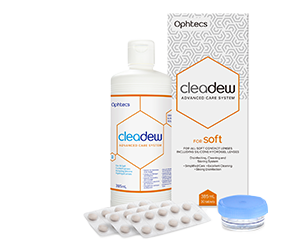 cleadew is a proteolytic enzyme-containing disinfectant for soft contact lenses. It consistently removes protein on the lens at each application. Povidone iodine is a disinfectant with low cytotoxicity and little eye irritation. Povidone iodine at a concentration prescribed for cleadew not only has a high disinfecting effect but also low cytotoxicity. Povidone iodine agent evaluated as being useful as a disinfectant. 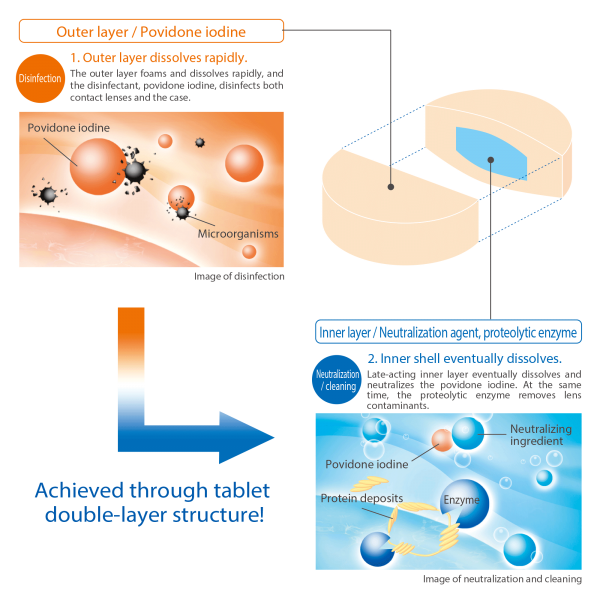 Povidone iodine agent proved to be very safe and useful as a disinfectant without severe side effects for contact lenses of Group I and Group IV.